Children who have crooked or crowded teeth or an overbite or underbite often have the problem corrected with braces. It is recommended that children be evaluated by an orthodontist, a dentist who specializes in straightening teeth and correcting problems with the jaw, by the age of 7. At that time, problems will already be apparent. Orthodontic treatment will not necessarily begin right away, but the orthodontist will be able to tell you if treatment will be needed, what is recommended, and approximately how long it will take to correct your child’s problem. The best time to begin treatment will depend on the severity of the problem and its cause. Orthodontic treatment generally begins after a child has lost most or all of his or her primary teeth and has a majority of the permanent teeth. This is usually between the ages of 8 and 14. Some orthodontists recommend an interceptive approach. 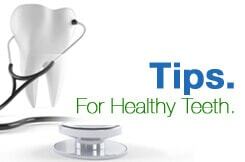 This involves the use of dental appliances – not necessarily braces – at an earlier age, before a child has lost most of his or her baby teeth. After most of the permanent teeth have erupted, a second phase of treatment is started, generally with braces. The phase with braces may be shorter if early treatment was performed than it would have been if the child only had one course of treatment with braces. Some orthodontists believe a two-phase treatment approach can increase the overall time and expense of treatment. The treatment plan that is best for your child will depend on the nature and severity of the orthodontic problem. It is best to discuss your options with your child’s dentist or orthodontist.